Product prices and availability are accurate as of 2019-04-11 23:24:16 EDT and are subject to change. Any price and availability information displayed on http://www.amazon.com/ at the time of purchase will apply to the purchase of this product. Use EZ-FLO's 3" Pipe Repair Clamp if your pipe has suffered a pin hole, puncture, or split. Fast and easy repair on pipes made of steel, plastic and copper. 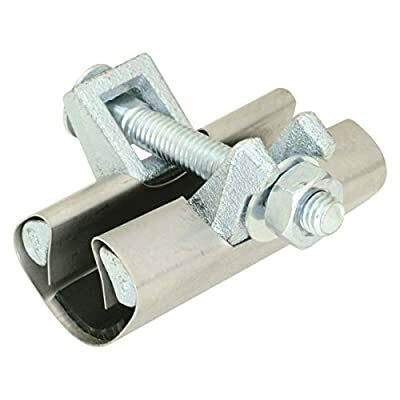 Comes with one bolt and nut for quick installation.